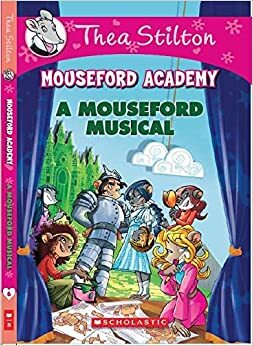 Review: This book is about mouseford academy’s musical for the end of the year. Paulina, Nikki, and Violet decided that they wanted to audition. They had to pass acting, singing dancing. Ruby sabotoges Violet and Nikki. Violet gets aliminated in the first audition, acting. Nikki gets aliminated second not because she didn’t pass because she hurt herself. In the end Paulina wins and gets the leading role Dorothy.